Virat Kohli: The most complete batsman India has ever produced? Ever since cricket became India’s biggest mainstream global sport, thanks to the exploits of Kapil Dev’s World Cup winning team and the emergence of Sachin Tendulkar in the early nineties, India has always been world cricket’s pre-eminent batting powerhouse. The likes of Tendulkar, Rahul Dravid, Sourav Ganguly, VVS Laxman, Virender Sehwag, Gautam Gambhir, Yuvraj Singh and MS Dhoni ensured that India have always had a string of world-class batsmen populating their Starting XIs across all formats of the game over the last twenty years. With the phasing out and retirements of several of India’s legendary batsmen in recent years, the onus has fallen on a new generation of Indian batsmen to replicate the legends of old and add to India’s collection of three ICC trophies. And over the last five years, one man has been the spearhead of India’s continuing batting legacy: Virat Kohli. Virat Kohli’s rise from a stylish, promising young batsman into one of India’s greatest of all time has been an absolute joy to witness. Right from the time he captained India to the championship in the ICC Under-19 Cricket World Cup 2008 in Malaysia and made his international debut for the senior team the same year; the Indian selectors’ think-tank did the right thing by keeping him in their plans, and in and around the ageing legends of the Indian team, so he could learn by witnessing their quality and professionalism in every single training session. The early part of his Team India career coincided with one of the most successful phases in Indian ODI Cricket history; with a near-perfect blend of youth and experience, India managed to win the ACC Asia Cup 2010, the ICC Cricket World Cup 2011 and the ICC Champions Trophy 2013 under MS Dhoni’s captaincy; achievements that highlighted to the world Kohli’s rising status as one of the best limited-overs batsmen of the generation. But it was arguably his disastrous tour of England in 2014, and his eventual overcoming of that failure with incredible successes in nearly every Test series since being handed the Test captaincy in 2014, that have confirmed his quality as a true all-conditions, all-format batsman with top-notch physical fitness, technical quality as well as the immense mental strength that is the hallmark of true champions in any sport. But observers have slowly been going one step further. Kohli is not just one of the greatest batsmen India has produced; if he can keep his performances up for the rest of his career, he might just be the most complete batsman India has ever produced. Sachin Tendulkar is unquestionably India's greatest batsman of all time. But has anyone come closer to replicating his quality and consistency than Virat Kohli? Of course, no discussion about India’s greatest batsmen of all time can be had without mentioning Sachin Tendulkar, India’s crown jewel of cricket, who still worshipped as a messianic god-like figure among Indian cricket circles because of his incredible consistency and longevity at the top of the game and his mammoth contribution to the game’s popularity in India. This is not meant to be a comparison of Kohli and Tendulkar, as of course, there will only ever be one Sachin Tendulkar in Indian cricket because of what he represented to cricket and to India during his glorious peak. 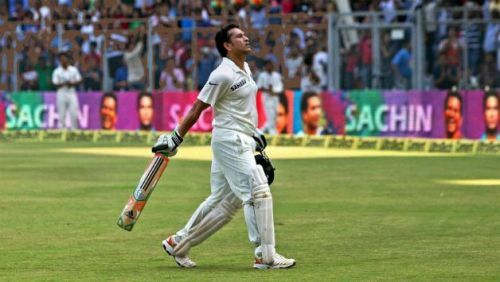 While Tendulkar will remain the greatest of all time to most Indian cricket fans, the opinion that Kohli has transformed himself into arguably an even more complete batsman than the Little Master himself should be treated as a celebration of how standards in cricket have risen so fast over the last decade, and not as a slight on those who played the game before. Let’s explain this by breaking batting down into what could be considered its four sub-disciplines, and how Virat Kohli has become the best batsman in the world today by reaching peak levels of performance in each of these categories. 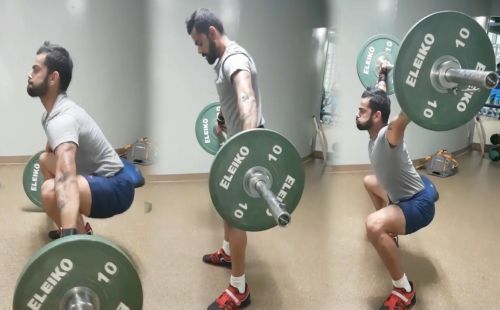 Virat Kohli is incredibly regular with his strength and conditioning work in the gym. With the evolution of batting into more of a stamina-based and power-based discipline of cricket because of the need to score as many runs as possible, the need for a batsman to maintain peak physical fitness and conditioning has arguably never been greater in the sport. This can be witnessed in the struggles of Ajinkya Rahane (a top-class technical touch-batsman but perhaps limited by his physical power) to make a successful limited-overs career. Batting, especially in the shorter formats of the game, has become defined by the ability to accelerate the scoring run-rate at any given moment, and for this, a batsman needs to either be a power-hitter with bags of upper body strength who can clear the ropes at will (think André Russell) or an intense run-accumulator who has excellent fitness and can convert singles into twos or twos into threes while also being able to find the occasional boundary whenever necessary (Michael Hussey was a good example). And there has perhaps never been a better exponent of the value of physical fitness to the art of batting than Virat Kohli. 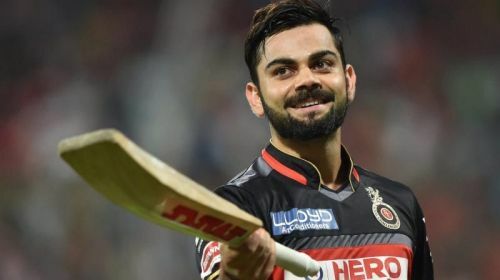 Kohli, reportedly after IPL 2012, made a conscious decision to do an hour or two of strength and conditioning work in the gym every single day for the rest of his career, to help him be the best batsman and fielder he could be. From anecdotal evidence and from following his social media, he’s managed to maintain this excellent habit right to this day, and the fruits of his intense labour in the gym are there for all to see in the increasingly dynamic displays he has shown with the bat every year since in all three formats of the game. Chris Woakes, his Royal Challengers Bangalore teammate in IPL 2018, spoke in an interview about how Kohli loves to go through an Olympic Weightlifting session for half an hour on the day of a match, and how he had never seen anyone in cricket prepare for a game like the RCB captain does. 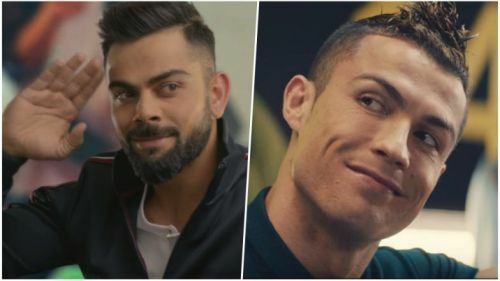 Kohli, like his footballing idol Cristiano Ronaldo, has transformed the debate around continued excellence and longevity in world sport through his top-notch physical strength and stamina and by being able to maintain that peak condition for extended periods of his career. In this one area perhaps, the greats of old would struggle to compete with today’s incredible fit and agile batsmen, not through any fault of their own, but just because the physical standards of the sport were far lower back in the nineties and early noughties. For that reason, it is no stretch to say Virat Kohli is one of the fittest batsmen to have played the game, and it has contributed massively to his success in the game as he himself would no doubt admit. If Virat Kohli is a brilliant role model for young Indian athletes on the virtues of being physically fit and in peak condition, he is perhaps an even greater example of how you need oodles of mental fortitude to succeed in the highest level of the game. India’s ICC World T20 2016 match against Australia, where Virat Kohli anchored an incredible run-chase to get the last 39 runs off just 2.1 overs, was a perfect example of how Kohli’s immense mental strength comes to the fore when India are under huge pressure and need an injection of world-class quality to save them from a defeat. Perhaps because of his upbringing in Delhi, the loss of his father at such a young age, and maybe even his Punjabi heritage (they are known to be a race of tough, hardy people who are highly resilient in the face of adversity) Kohli has always been a very strong, aggressive character, and he has carried this trait with him into his batting. Observers are familiar that the bigger the match, the greater the chance that Virat Kohli will rise to the occasion and play a match-winning knock for India, and we’ve seen this in multiple encounters against Australia and Pakistan, two of India’s biggest rivals in the game. It is also worth noting that a batsman’s mental characteristics also determine how he responds to dips in form and unsuccessful phases of his career, when he knows he has to work harder than ever to get back to his previous level. Kohli was never such a dependable batsman during the first five years of his career in Team India; he was mostly a middle-order batsman who could score a few quick runs and set the innings up for India’s engine room of Suresh Raina, Yuvraj Singh and MS Dhoni to finish the game in style. But over the years, Kohli has worked immensely hard on every aspect of his batting to transform himself into India’s go-to batsman for every situation. Kohli uses this mental side of the game to back himself to play any shot necessary even against the most difficult bowlers, and to run hard between the wickets in extremely hot and humid conditions. His numerous unbeaten innings (which he says is because of a habit of wanting to finish games himself and not leave the work to anyone else), his incredible average while chasing in the second innings of limited-overs games, and India’s huge success rate in run-chases are all down to Kohli’s mental characteristics as a batsman, and another claim to fame as one of the most complete batsmen we’ve ever seen. Technique is undoubtedly still the most important aspect of batting, especially for those batsmen who’ve done well to establish themselves as all-format, all-conditions quality players who can score runs against any kind of bowling attack, of which there’s again probably no better example in world cricket today than Virat Kohli. Kohli is primarily a bottom-hand dominated batsman whose technique bears some resemblance to that of Rahul Dravid, especially in the latter part of his career. Readers may balk at that comparison because of the very different mindsets of those two batsmen, but in terms of technique, Kohli seems to resemble Rahul Dravid more than Sachin Tendulkar, with his upright posture, higher centre of gravity and the angled look of his bat on the follow-through to his shots. Where Kohli transcends his legendary predecessor, is perhaps in how he’s managed to find the perfect blend of aesthetic quality, power and quick run-scoring ability with the strokes he plays and still minimize the chances of losing his wicket, a mix perhaps only perfected better by Tendulkar himself. Kohli is always beautiful to watch when he bats; he has good posture, he leans into his drives, he times his shots very well and seems to know exactly which shot to play to every ball. He’s also a bristling, impetuous presence at the crease who radiates an intensity and a sense of purpose right from the first ball he faces; even a leave or a forward defensive stroke from Kohli is unmissable for the effort and the intent he puts into it. But he manages to maintain his shape even during periods of extreme pressure and play aesthetic, technical shots while looking for boundaries. In that sense, Kohli is perhaps the perfect blend of Tendulkar and Dravid; he has Tendulkar’s ability to change the game, take the attack to the opposition bowlers and score quick runs with excellent, technical shots. But if necessary, he can also switch to Dravid’s resolute mindset and go into minimal-risk defensive mode to safeguard his wicket. Kohli’s status as a technical all-format batsman is especially refreshing to see in this day and age of power-dominated T20 slogging. His success shows that there is still room for technical run-accumulators to thrive in the shorter formats of the game, albeit ones who have slightly adapted their game to include lofted and more dynamic strokes into their arsenal. Lastly, like all great thinkers of the game, Virat Kohli has also shown excellent tactical adaptability as a batsman, even if his ability in this area of the game is often questioned from a captaincy perspective. Kohli, especially in the second innings of a limited-overs game, always seems to know exactly how to pace his innings, which bowlers to target, when to push hard for twos and threes, and when step on the gas and go for the big boundaries if necessary. It is one thing to have the ability to do all those things, but a batsman needs to be tactically flexible in knowing when to use a particular skillset of batting, and Kohli’s sense of judgement when he’s batting is second to none. He is undoubtedly the man you want to bat out a day in a Test; he’s the man you want to see farming the strike from the tail-enders, and he’s also the man you want to see batting during the last ten overs of an ODI/T20I; because you know he’s going to maximise every available run-scoring opportunity. There are only a select few batsmen in world cricket who have become such important linchpins of their batting lineups, and Kohli is undoubtedly the leader of the group. How far will Virat Kohli go as one of the greats of the game? We’ve seen several great batsmen throughout history with one or two of these characteristics, maybe even three, but it’s extremely rare to come across one who’s at the cutting-edge of batting in all four: the physical, mental, technical as well as the tactical aspects of the game, and with the continuing success of several thousand runs across all formats of the game and over fifty international centuries to show for it. 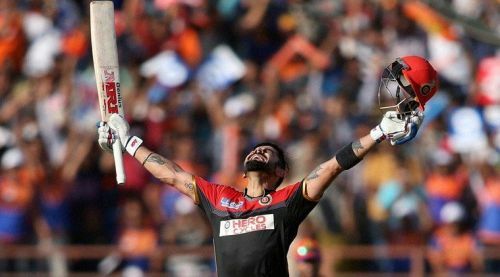 Virat Kohli, especially since his stunning resurgence in IPL 2016, has been an absolute batting phenomenon for an extended period in a way we’ve very rarely seen in world cricket before. If he can carry on in this fashion for the rest of his career, which looks likely given how his workload is now carefully being managed around every important series and multi-nation tournament, he looks set to carve out his own place in history as one of the greatest batsmen we’ve ever seen, and perhaps its most complete one ever. What makes Virat Kohli the biggest epitome of cricket?